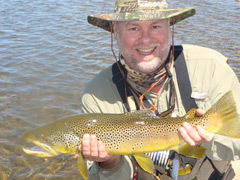 Welcome to the Fishing Report from Townsend, Tennessee in the Great Smoky Mountains. At 5:39 am, the temperature outside 52.5 degrees. Today will be warm, in the mid to upper 70’s. Tomorrow will also be warm, with showers in the afternoon and evening. Sunday will be cooler with a high temperature in the mid-60’s. Rain is predicted Sunday. We may see thunderstorms Saturday afternoon and Sunday. Isolated heavy rain and high winds are possible. Little River is flowing at 345 cubic feet per second (cfs) or 2.34 feet on the flow gauge. Median flow for this date is 358 cfs. The water temperature is 56.5 degrees this morning. Fishing is good. Flows are normal for this time of year. The water temperature is perfect and rose to 59 degrees yesterday. That should continue through at least Saturday. I think water temperatures will be fine Sunday too. 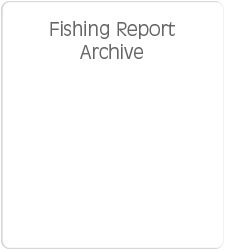 Aquatic and terrestrial insects are active. Expect sporadic hatches of Blue Quills and Quill Gordons, and other aquatic insects at least in the low to mid-elevations. 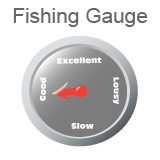 Fishing will be good today, and maybe through the weekend. Fishing conditions tomorrow afternoon and Sunday will depend on how much rain we get from the cold front that is approaching. Strong wind may also be an issue to deal with, in isolated thunderstorms. If you are trying to decide to travel here from long distances, I can’t tell you what to expect except what was written above. 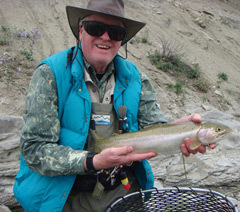 You could take a chance and you may be rewarded with great fly fishing for trout. Or, the streams could rise, become stained, and it may be windy. The one unusual condition we have going for us is the warm water temperatures. The past 2 or 3 days have set record warm temperatures. If you go fishing in the Smokies today or this weekend, be prepared with Quill Gordon, Blue Quill and Blue Wing Olive dry flies. 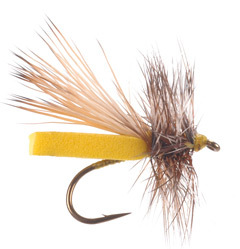 It is always a good idea to have and use Quill Gordon wet flies when these insects are active. You may need nymphs. Try Pheasant Tail nymphs in different sizes. My favorite is the Quasimodo Pheasant Tail. It is tied with a copper bead on a curved short shank hook. I like the copper bead because it is not as flashy as a gold bead. We will have a great FREE event at the shop tomorrow between 10 am and 2 pm. 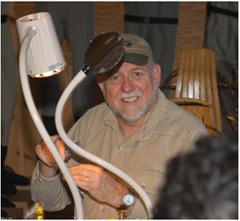 Our featured fly tying demonstrators are Bill Boy Sr. and Bill Boyd Jr. They will be tying at different locations in the shop. You can visit with and watch one for a while, then move to the other. These guys are talented fly tyers and fly fishermen. All you have to do is show up. You can learn more about these guys by CLICKING HERE. The newborn, orphaned calf we are bottle feeding ate well yesterday morning. He drank 2-quarts of milk replacement. Yesterday afternoon was different. The calf was weak. I straddled the calf and held it up while Paula tried to feed him. He wouldn’t eat. We’ll see what happens today. His mother died after his birth. We are hoping for the best. This little fella is having a hard time. He is 4 or 5 days old. We are trying. It is daybreak. I just walked outside to see what it feels and looks like. It feels a little chilly. The view of the Smoky Mountains is incredible. Dark clouds are hovering over the peaks. This is going to be a nice day.